The Prochem Rapid 385 E is the ideal walk behind plug-in scrubber drier for cleaning small to medium sized hard floor areas. 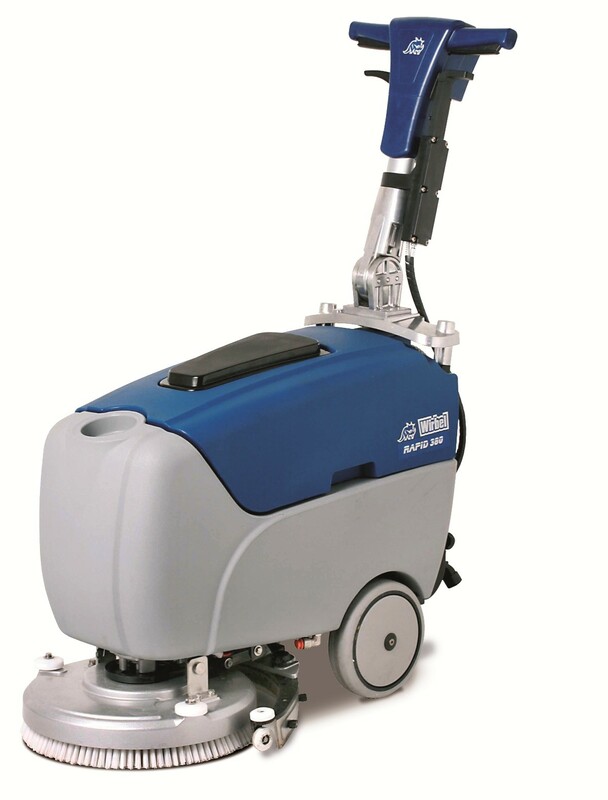 With dependable mains power it is quick and easy to clean both open and confined areas. Its adjustable handle and well positioned intuitive controls make the cleaning of narrow and confined areas easy. A large size tank cover provides for easy inpsection and cleaning of the recovery tank which also has a built-in shut-off float. Thanks to its ergonomic design, the handling of the machine remains constant during use, with solution gradually passing from the solution tank to the recovery tank. The brush is centrally positioned for cleaning right up to walls and skirting and the thermoplastic vacuum squeegee is unique in it's class. 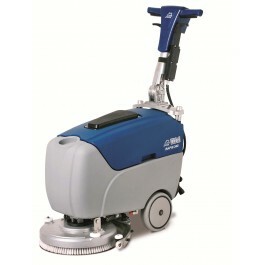 The Rapid 385 E is supplied with a floor scrubbing brush. Comes complete with floor scrubbing brush.